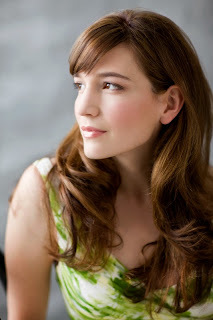 Kate Lindsey returns to Seattle Opera to star as the Composer in Ariadne auf Naxos. 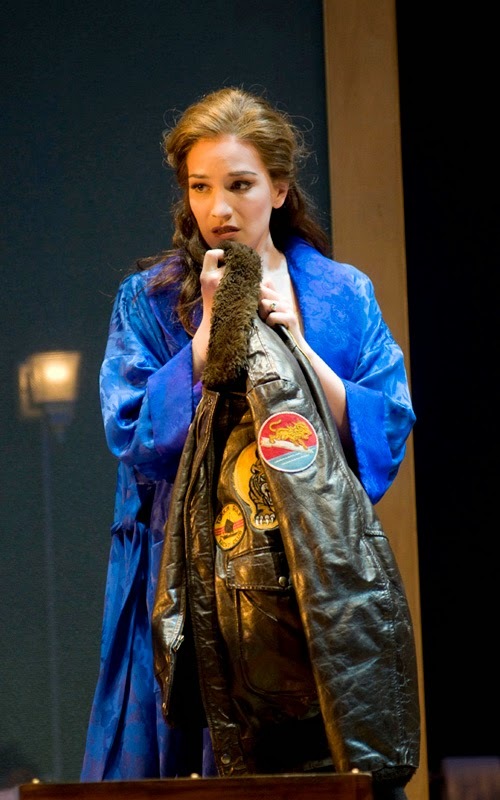 The local favorite has twice won Seattle Opera’s Artist of the Year Award: for her debut, creating the title role in the world premiere of Amelia in 2010, and last season, for the Muse and Nicklausse in The Tales of Hoffmann. She spoke to me the other day about how playing soccer as a girl trained her to play boys onstage, about the psychological complexity of this wonderful character she plays in Ariadne, and offered some advice for people who are new to opera. Last year in Seattle, you were fantastic as Hoffmann’s young male sidekick Nicholas; here you are as the young male Composer, and coming up next you’re Cherubino in San Francisco. Do you like playing all these male characters? Sure! 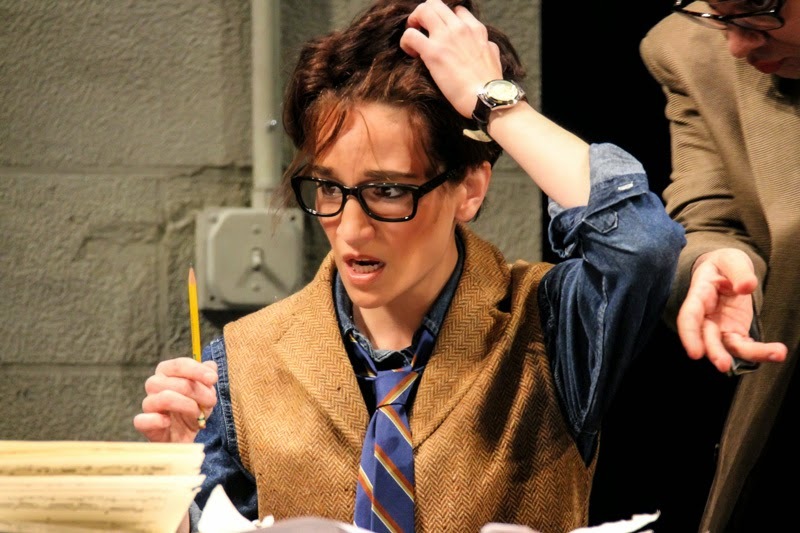 Think about it—how many actors regularly get to change genders when they do their jobs? I think it’s happening a bit more frequently nowadays, as people push boundaries and tell stories with more psychological intensity. But there aren’t too many art forms where you get this opportunity. But as a mezzo soprano, it happens a lot. A casualty of the job! But I enjoy it. I don’t even think of it as gender anymore. We’re all human. We’re much closer to each other than society would like to admit. 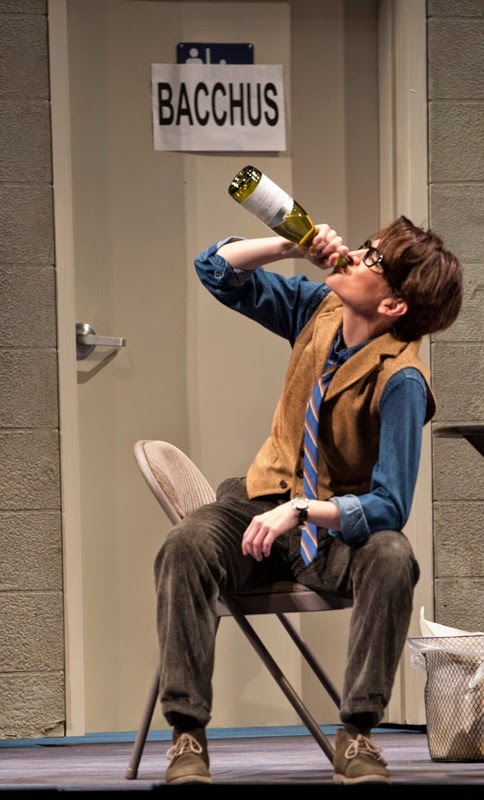 Our culture trains us: “Oh, you’re a boy, so you need to be more like this,” or “Girls are like this.” But the beauty of theater is how it gets to the heart of any character, to their humanity, who they are inside. And we all have both feminine and masculine within us. When I’m working on a trouser role, maybe I recognize and honor more of that masculine energy within me; but it can flow and shift really beautifully. It’s sad that most people feel they can’t explore the fluidity between their feminine and masculine sides. Is it hard for a young mezzo soprano to do a trousers role for the first time? To do something they’ve been trained NOT to do their whole life, by family and culture and religion? How old were you when you first sang a trousers role? 19, summer after freshman year at Indiana University. 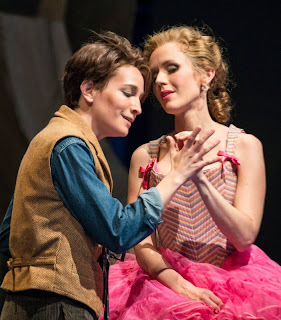 It was Cherubino, I sang it at the Bay Area Summer Opera Institute (or BASOTI). That summer was really formative for me, in terms of deciding to go into opera. I got lots of encouragement! How old were you the first time you sang the Composer? 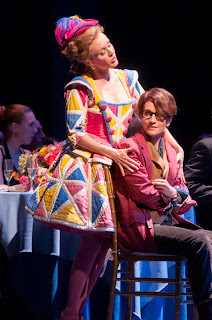 That was just two summers ago, at Glyndebourne. The Composer is a great character. Strauss was adamant that Hofmannsthal not model the character on Strauss. I get the sense, from reading their letters, that the Composer is modeled on their understanding of Mozart, this child prodigy. I find the Composer has a lot in common with Cherubino, another Mozart-type character. He’s got this wild energy. I love how Strauss composes screams into his vocal line (demonstrates)—sort of like a donkey braying! The musical line can become really jagged and disconnected. I love that frenetic energy, loose and slightly insane. 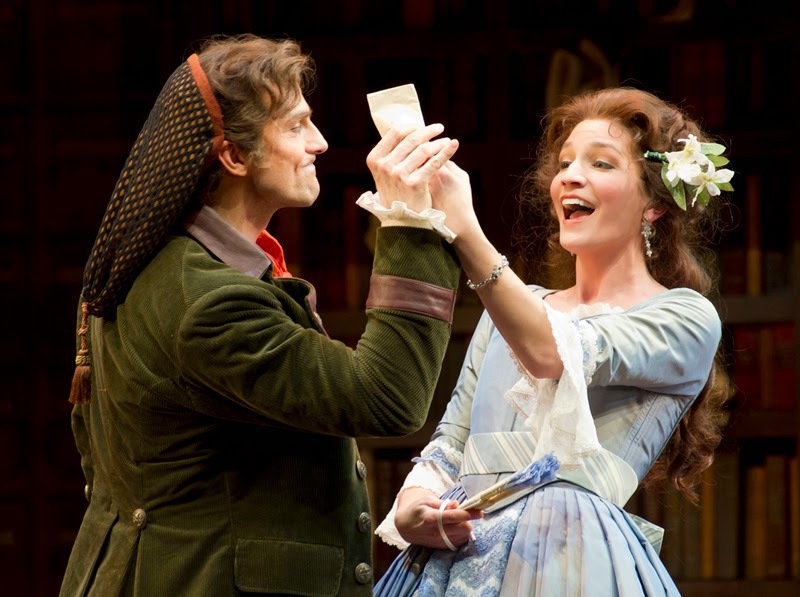 Speaking of high notes, is the Composer really a mezzo soprano role? You know, a soprano debuted it. It’s high, and it stretches the voice. It’s a hard sing! But every time I come back to it, it feels easier. When you’ve worked on a piece and then you put it away and come back a year later, it’s like planting a bulb—it’s there, rooted in the ground, and it can blossom again each time you do it. The more grounded or rooted you are, the more weightless you can appear. How old is the Composer? I think he’s 16, 17 years old. He’s a prodigy whose genius was discovered by his parents at a young age. I don't think he came from money, so they sent him off to school to develop his talent. I think he basically lives with the Music Teacher—this man who is his friend, parental figure, and psychologist. I think the Composer’s idealization of Ariadne comes from the fact that he didn’t have much of a relationship with his own mother. He has this really idealistic idea of what love is, of how a fully-formed adult woman loves, because he never had any real experience of women. So he’s never met anyone like Zerbinetta before. No, he’s been completely sheltered. And at first he can’t understand her at all. A woman? What? Legs? What are those things? He’s lived all his life in stories and poetry, not in real life. So when he meets Zerbinetta, he doesn’t see her as a sexual object, because he doesn’t yet know that part of himself. And she can’t understand WHY he doesn’t see her as a sexual object. And thank goodness for that miscommunication—since they can’t understand each other at first, they spend more time trying to figure each other out, and that’s how they come to fall in love. Now we have a few less Ariadne-specific questions for you. 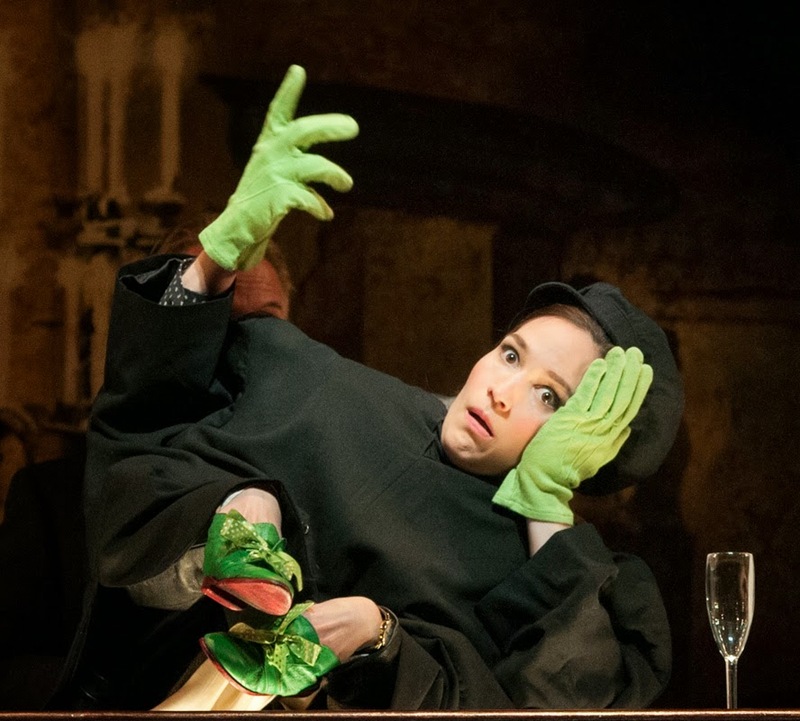 What’s the most embarrassing thing that’s ever happened to you onstage? As I exited the stage one time, I ran directly into a door post because my eyes hadn't adjusted to the dark. The next time I came onstage, I had a HUGE, egg shaped bump protruding from my forehead. 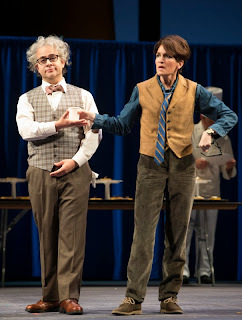 I was doing a Hoffmann in which the tenor had a quick change into shorts after the Prologue. Unfortunately, the quick change happened a little early...on stage...during his “Kleinzach” aria. Those pants fell right down while he was standing on a table. I don't think anyone onstage was able to keep it together in that moment! Describe an artistic achievement that you’re proud of. Seattle Opera Artist of the Year!... and definitely premiering Amelia here in Seattle. It was a huge opportunity, and an incredible project. Describe an artistic challenge that made you grow. There are so many! I definitely grew from stepping in for Rosina in The Barber of Seville at the very last minute one time. I had 24 hours to study the video and figure out the cuts before getting onstage. I didn't even have time to panic. So it became rather liberating because I improvised my way through the night! That they are these fancy, elite-minded people. I know so many opera singers who come from really humble backgrounds -- people who grew up on farms, sang in church -- people with really normal lives who didn't really ever even know that much about opera until someone helped them discover their gifts and the music. What music do you listen to regularly? A lot of folk, acoustic, coffee-house sorts of stuff. I honestly don't listen to opera to relax because I listen to it so analytically. I can feel the sensations of the singers so acutely as they move through a phrase that my sympathetic system gets stressed out! Opera is never background music for me—it requires my full attention when listening! I sleep till 9 or 9:30, then get up, take my dog out for a walk. Have my coffee and my toast with peanut butter. Hit a yoga class (or do it at the apartment). Relax in the afternoon -- read or nap depending. Then, I fix a protein-rich meal to have before I go to the theater. Eggs, avocado, cheese... major staples to my routine! What do opera lovers have in common? The time-less enjoyment of the art form. The fact that there is ALWAYS more to learn. Each opera you study takes you into so many eye-opening aspects of history. It's endless, what you can learn. What’s the public’s biggest misconception about opera? That it's hard to understand and that it's only for a certain economic class of people. Even outside of the words, the music tells you so much. And opera is really an art form that is meant to be enjoyed by everyone...it's often not as expensive to go see as some pop concerts and sports events. Opera can be pretty outlandish. How do you keep it real? By trying to connect to the truth of the emotions that the character is feeling at the moment. We can always connect via empathy with some element of what this character is feeling. What excites you the most about opera? The combination of the orchestra, the voices, the staging, the costumes...it's a total senses experience. We don't get that vibratory experience when we're listening at home, but when we're in the opera house we feel the strength of each instrument -- all working together to create incredible sounds. 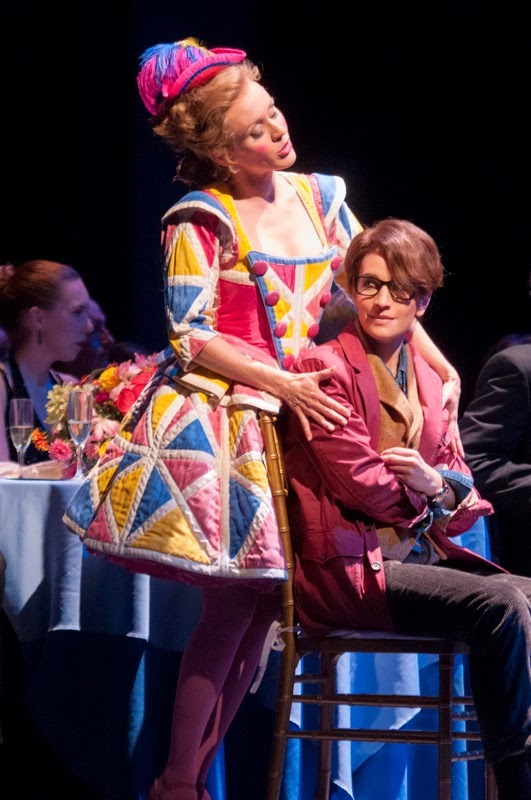 Discover what touches you - why certain operas grab you more than others and then pursue that. You'll probably learn something about yourself and they way music speaks through you, in the meantime. Just commit to that one season, and see where you are after.